Follow the celebrity trend with our beautiful red deluxe door bow, often copied, but ours are the original and the best. 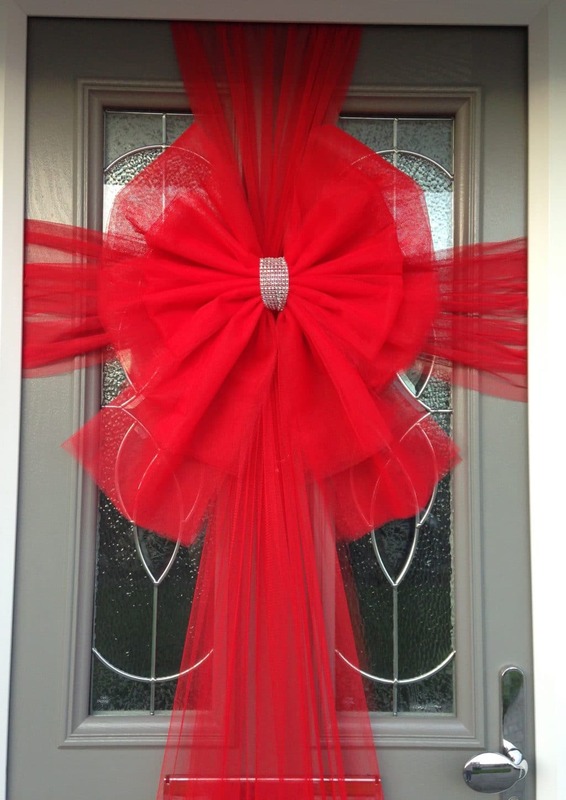 Our Red Deluxe Door Bow adds a beautiful elegance to your front door, shop windows or garage. 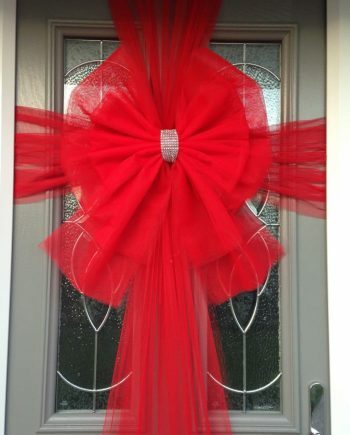 Our Red Deluxe Door Bow Decoration is made by our bow team especially for you. 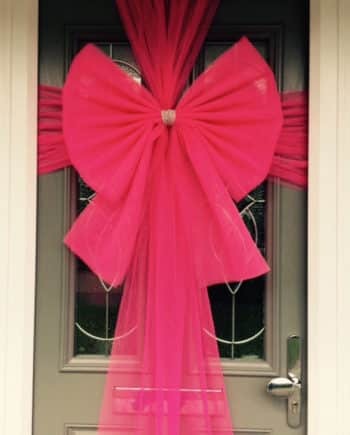 We include extra layers in the door bow to create a more luxurious bow compared to our standard door bow. 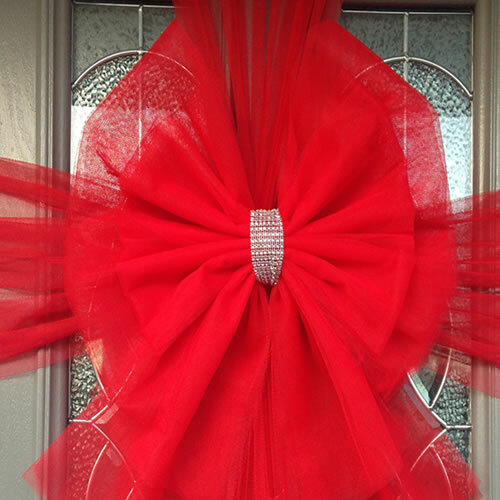 The Red Deluxe Door Bow is approximately 50cm wide, and the wings are 40cm tall. 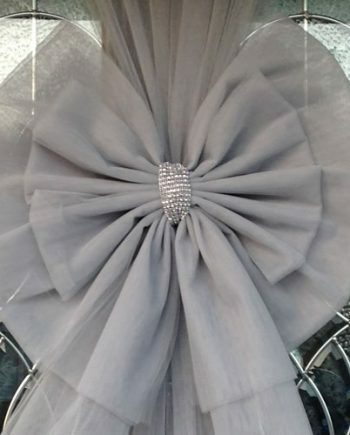 The big Red Deluxe Door Bow Decoration includes a beautiful silver coloured diamante centre on the knot to add the perfect finishing touch to your decor. We also include co-ordinating net material to wrap your door, it’s pre-cut to fit a standard door and of course, every pack includes very easy to fit instructions for you to follow. 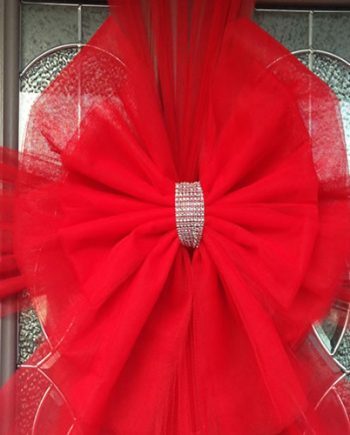 Our big Red Deluxe Door Bow Decoration is made of a specialist weather resistant net that will not shrink or droop in the rain, please note they are not made of a standard cheaper organza material that does not have such qualities, you often see these online. We’ve been making bows since 2003 and have taken time to source the best quality materials and our professional bow makers ensure every door bow is perfect just for you. 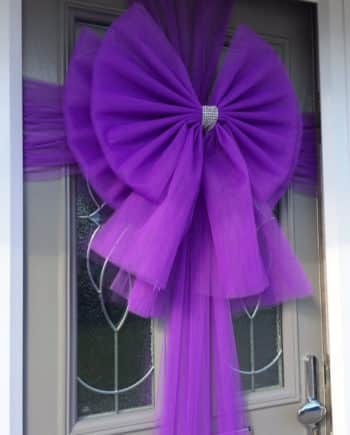 The door bow arrives ready to use and should take you only 10 minutes to attach on your door. Many of our customers reported their door bows being in place for many months with no change to the quality and they have packed carefully to use again next year. We also stock lots of different colours for your festive decor. 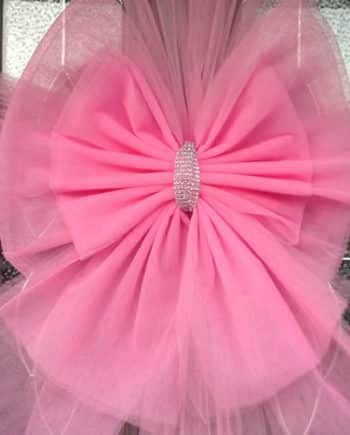 This year has seen the rise of door bows being used for baby showers, festivals, birthday celebrations & Halloween. With over 100 different bow colours available you can choose your own imaginative combinations to personalise their entrances, windows, front doors, cars & garages if you wish.